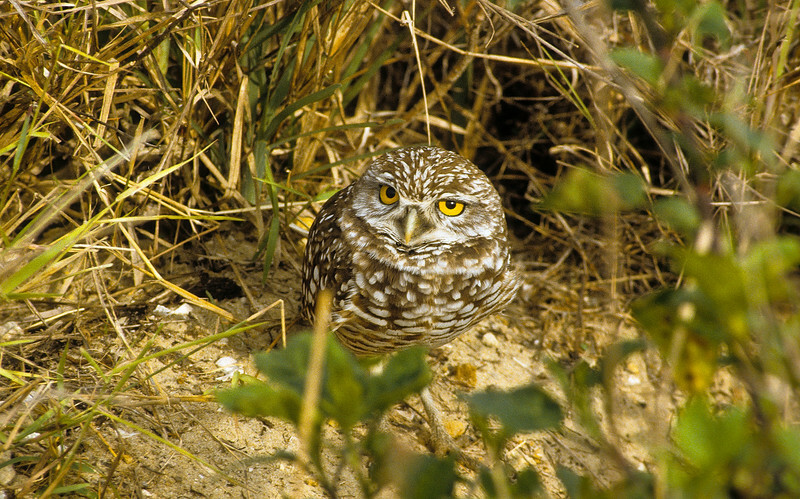 This very small Burrowing Owl has such large eyes. He is curious. He is living in a sand and tall grass habitat and blends nicely.